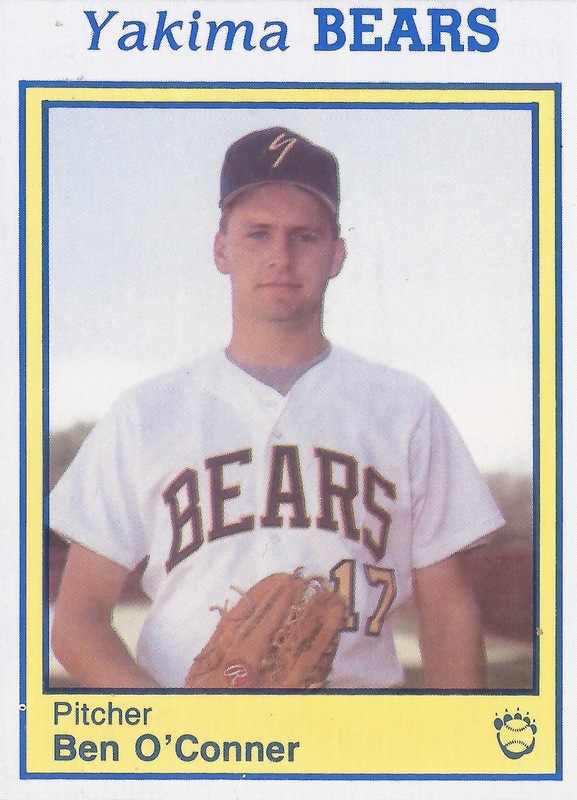 Ben O'Connor pitched well early in this 1987 game for Howard County American Legion. Pitches started to get away toward the seventh, according to The Baltimore Sun. "I got a little tired," O'Connor told The Sun. "But mainly the ump just started shrinking the strike zone." Whatever the strike zone, O'Connor went on from that American Legion game to play in college and in the pros. In the pros, O'Connor saw two seasons. He never made AA. O'Connor's career began in 1990, taken by the Dodgers in the 30th round of the draft out of the University of Maryland Baltimore County. O'Connor's name is also misspelled as Ben O'Conner. O'Connor started with the Dodgers at short-season Yakima and rookie Great Falls. He got into 21 games in relief at Yakima, with a 2.25 ERA, and started one game at Great Falls. He gave up two earned in two innings of work in an early September game and took the loss. 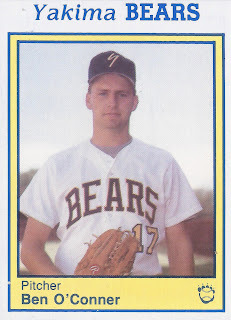 O'Connor returned to Yakima and played at high-A Bakersfield in 1991. In 16 relief outings at Bakersfield, he saved two and turned in a 3.70 ERA. He also played five games back at Yakima and gave up six earned in 10 innings of work to end his career.